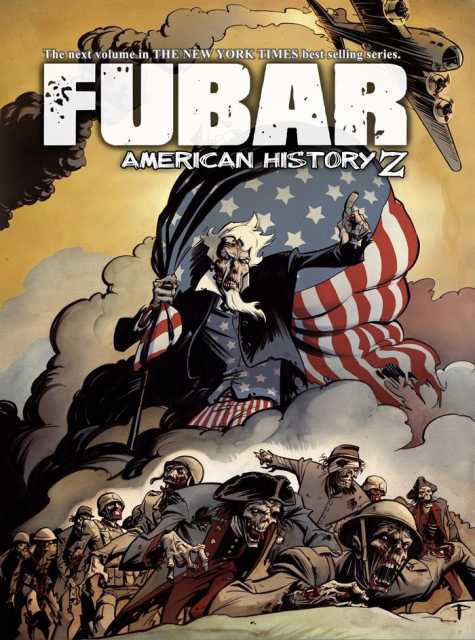 FUBAR – Jennie is the author of Sorgie’s Choice, set in the Pacific theater of WWII within FUBAR: Empire of the Rising Dead, and Truth or Virginia Dare, within FUBAR: American History Z. Ahead of Flutter Vol. 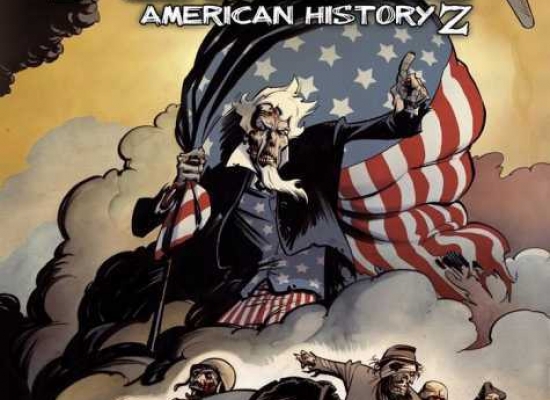 2’s release, Jennie completed a highly successful Flutter Kickstarter campaign in May 2015, with a brand new FUBAR mini comic collection offered to eligible backers. 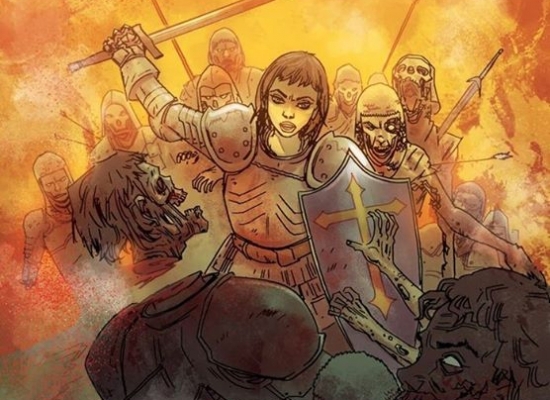 This mini comic is a custom edition, Jennie Wood FUBAR collection featuring Sorgie’s Choice, Truth or Virginia Dare, and a brand new comic from Jennie entitled Born Again. 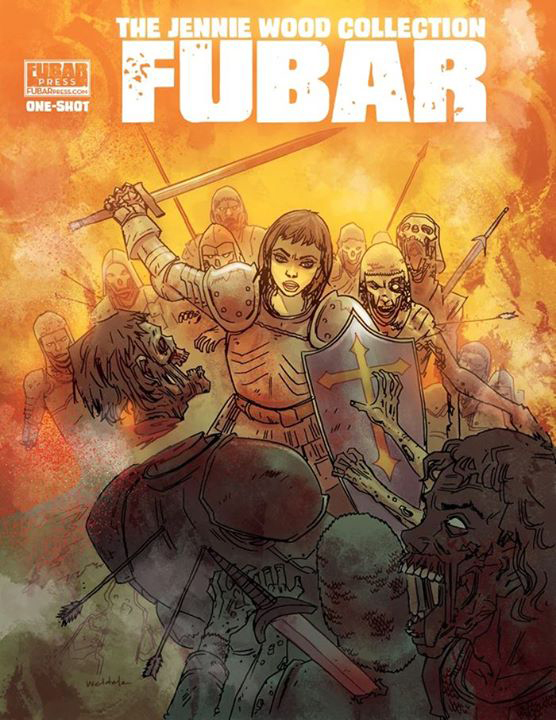 FUBAR is a Zombie anthology series and the brainchild of Flutter artist Jeff McComsey. 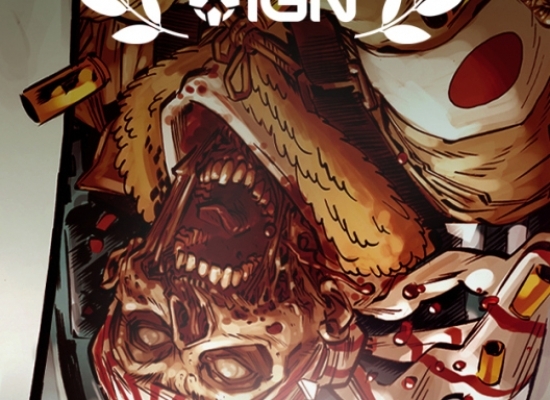 FUBAR: Empire of the Rising Dead made its debut on the New York Times Best Seller Graphic Novel list at #6. 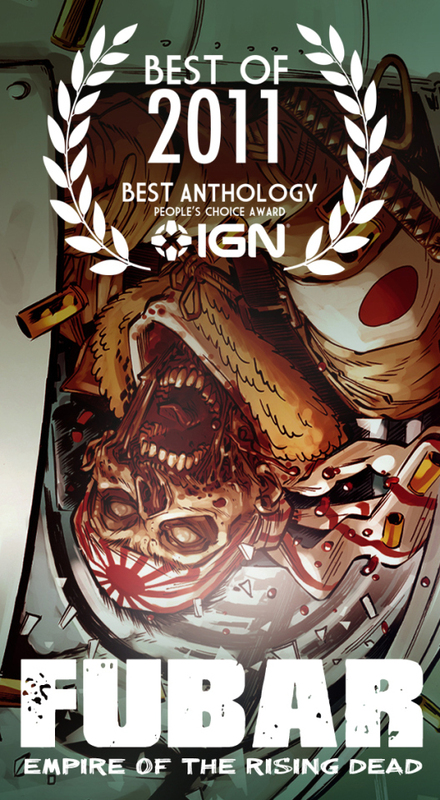 FUBAR: Empire of the Rising Dead won the IGN People’s Choice Award for Best Anthology of 2011.